Sometimes adding a unit study to school can break up the normal routine. Using a Once-a-Week Micro-Study from Homeschool Legacy makes adding one in very easy. The Homeschool Review Crew was offered several studies to review. I asked Alaina what she would like to study and she chose Cooking Up History with the Founding Presidents. This time of year Thanksgiving with the Pilgrims or Christmas Comes to America would make a great addition to any homeschool. Sharon Gibson is the author of the Once-a-Week Unit Studies, and the Once-a-Week Micro-Studies. She is also the founder of Homeschool Legacy and believes that learning should involve the whole family and it should be fun. 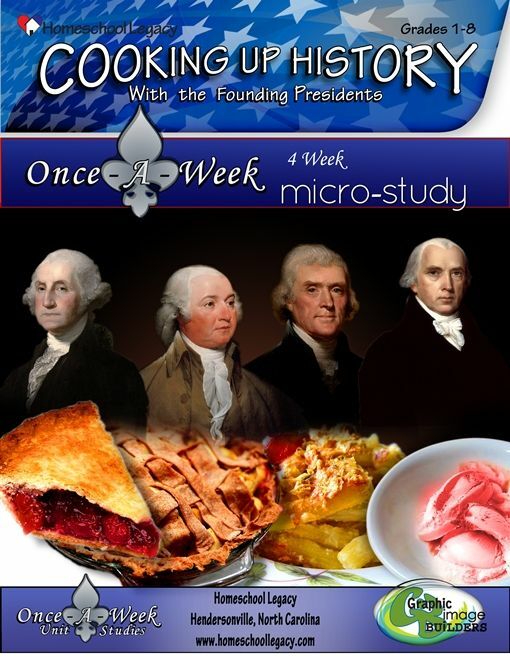 Cooking Up History with the Founding Presidents is recommended for children in grades K-8 and lasts four weeks. Each week is dedicated to a different President and covers history, government, language, and cooking. In this micro-study we learned about George Washington, John Adams, Thomas Jefferson, and James Madison. Each week starts off with a few facts about the President and a list of supplies needed for that week. The next sections talk a little about the history of that President and important things about the government during that time. The language section gives us an insight into the language and vocabulary of the times. 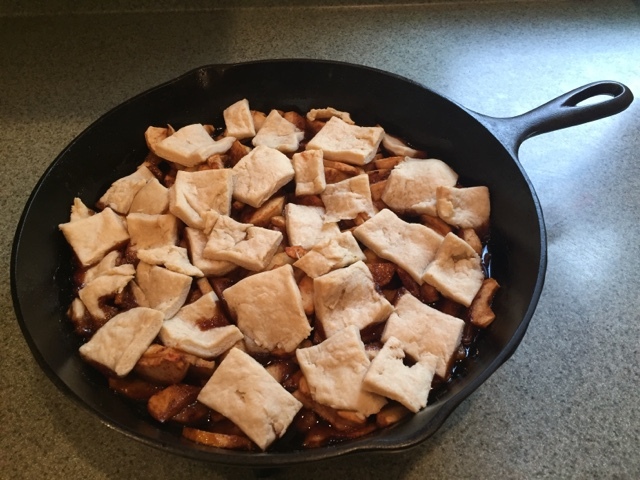 And one thing that makes this study so much fun are recipes from each Presidential couple. The study is set up nicely and very easy to use. It is best used in it's digital format because there are links to key facts, recipes, coloring pages, vocabulary words, videos, and further research. There are also additional books to read and videos to watch to further enhance the study. Each week also has a blue box with a question about a random fact or two about each President. Apple Pan Dowdy Alaina is eleven and she loves unit studies and lapbooks. She also loves to cook & if cooking is part of her school she likes that even better. She was so excited to start using Cooking Up History with the Founding Presidents probably because she wanted an excuse to cook. She is on the upper end for the age range for this micro-study and I ended up with laryngitis right after we received our study, so she decided to work on this one completely by herself. She read through the study guide and then we clicked through the links together & she did most of the talking. Some of the suggested reading books we already had and a few we picked up at the library. She also followed the recipes and only needed a little help with a few things. We have used some of the other weekly-unit-studies and Alaina loves the Did You Know questions. They are always something fun and she loves to stump her history loving dad and older sister. 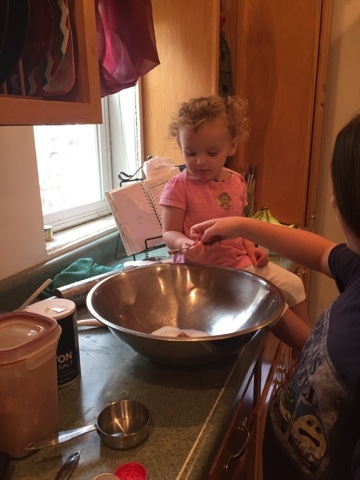 Alaina had a little help with one of her recipes. This study came at a perfect time for us with my laryngitis it gave Alaina something new to work on that she didn't need any help with. We have used a few of the Once-a-Week Unit Studies and this one is just as good as the others.